I love this image Lynda; your title is so perfect-beautifully presented my friend!!! My sincere thanks to Elizabeth Dow for the feature in the group New England Photographs! 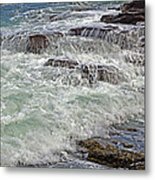 My gratitude to Robyn King for featuring my artwork in the group AAA Images! Many thank to Robyn King for the feature in the group AAA Images! Gorgeous Shot, Lynda..............Blessings over your work...............v./f. I'm glad you like it, Beverly! Thank you. I do love shooting the forms and energy of the waves at seaside! Thank you Cindy! I'm happy that you like it! 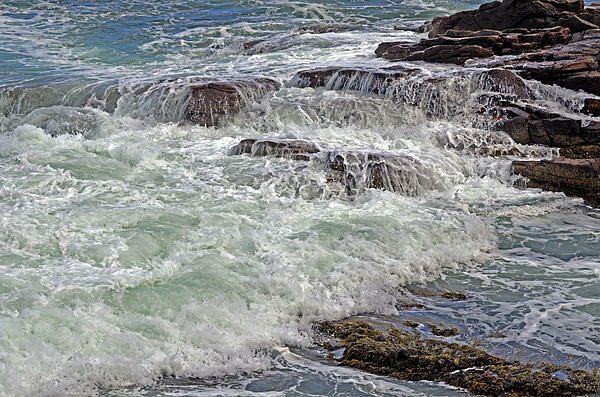 Very strong dramatic and energetic depiction caught of sea turbulence in this image Lynda, great catch!! Thank you still again to Robyn King for the feature in The World We See Group! I appreciate your support of my art! Another big thank you to Frozen in Time Fine Art Photography for featuring my artwork in the group Your Very Best Photography! Thanks, Janet! Glad you like it. Caves are a wonder to explore. 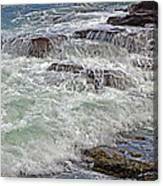 My thanks to Chuck Hicks for featuring my artwork in the group 500 To 1000 Photo! Thank you to Yolanda Terrell for the feature in the group Dancing The Walls! CONGRATULATIONS! This fantastic piece has been FEATURED on the homepage of the FAA Group No Place Like Home, 01/04/2017! Way to go! You are invited to post it in the /Features Discussion thread for posterity and/or any other thread that fits! Brava Lynda! Your artwork is featured in Women Who Run With the Wolves. What a great title, too. 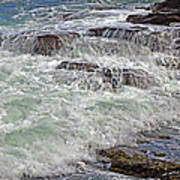 This photo is a scenic view of waves crashing along the rugged and dramatic Maine coast at Thunder Hole, in Acadia National Park.